Fall is the time in which your lawn will look at its best. Here in the northeast US, we work with what is known as “cool season grasses” basically what that means is that the lawn grows most actively in the spring and in the Fall. Knowing this, we can avoid some of the most basic lawn care mistakes in the fall time. Delaying aeration until the spring. Whenever you run a heavy machine that disrupts the soil, you run the risk of crabgrass breakthrough as well as weakened turf. In the springtime, most lawns receive a crabgrass pre-emergent. What this application does is setup a “barrier” to prevent crabgrass seeds from germinating. When you run a heavy machine that pokes holes in the soil this barrier will not be able to set up properly, thus inviting crabgrass to thrive. Anytime you want to do anything that will disrupt the soil, you should do it in the fall time. The reason being is that the lawn will have a full fall and then a full spring growing season to recover, and you will have a better success rate of the pre-emergent in the prevention of crabgrass. Leaving bald and thinning spots until the spring. As stated above, the lawn grows best in the spring and in the fall. Waiting until spring to take care of these bald and thinning areas can prove to be difficult. When seeding in the spring, you cannot use a pre-emergent for crabgrass (at least in the areas of concerns) as the pre-emergent will prevent the germination of desirable grass as well as crabgrass. New grass in the premature stages are very susceptible to stresses that come with temperature. So when you seed in the fall, the new grass will have all of the fall, as well as the spring growing season to be prepared for the summer stress that comes along with the warmer temps. Mowing with dull mower blades. fall is a great time to sharpen your mower blades. dull blades do not cut the grass, they tend to “tear” the tops of the blades. when the blades have a nice sharp cut, disease has less surface area to enter the plants thus avoiding a disease infestation. A good way to see if the blades need to be sharpened is to get on your hands and knees and examine the cut areas. If they look torn. Time to sharpen the blades. Leaving too much leaf cover on the lawn. 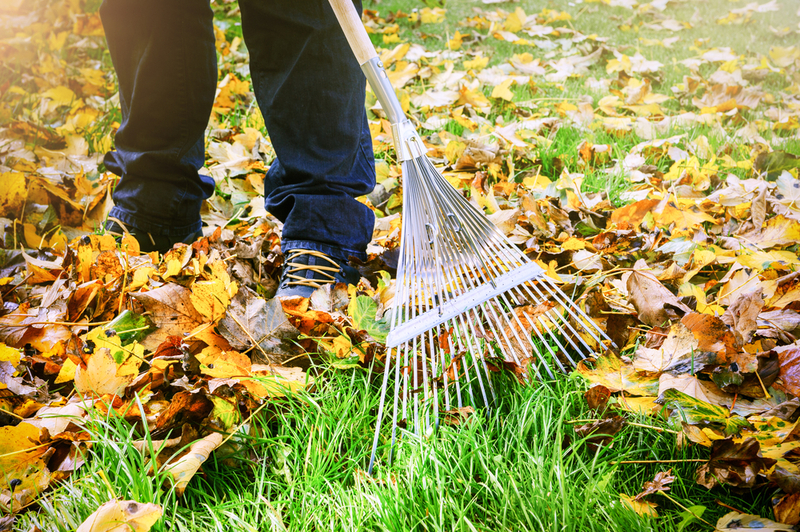 Avoiding removing leaves until all have fallen is a common lawn care mistake. As the leaves accumulate on the lawn, they smother the existing turf by not allowing sunlight to the blades thus weakening the turf. Lawns need as much sunlight as they can absorb during the autumn months to store nutrients for the winter dormancy stage. Light starved grass tends to weaken and die, so rake them up often. Also, a good mulching blade on the mower is key in the fall. Overwatering. Usually in the autumn months, the lawns get all the water needed from rainfall. Lawns in the northeast require 1-2 inches of water per week. If you supplement rainfall with irrigation, the grass plants may have a difficult time “hardening off” for winter dormancy. A rain gauge can help with determining if the lawn is receiving enough water.